Yellowstone Club in Montana is an exclusive elegant hideaway for millionaires, their mountainside mansions, and their own personal skiing director Warren Miller or Scott Schmidt. 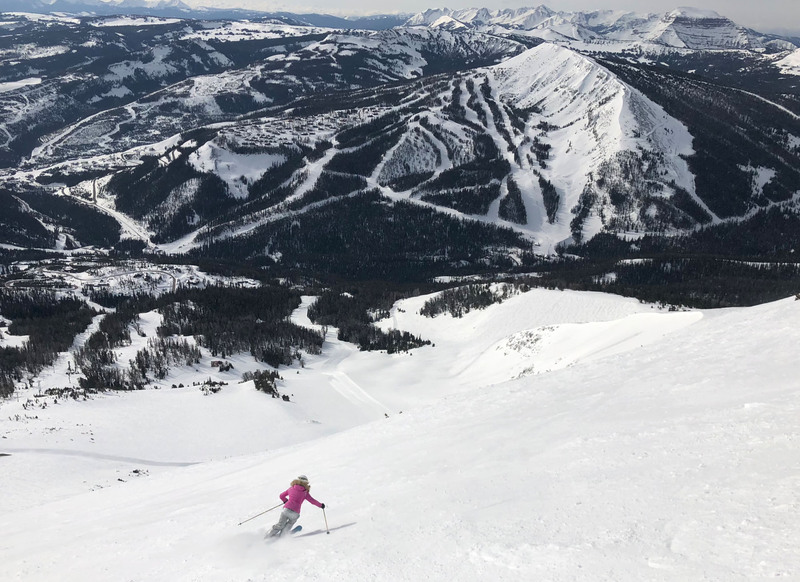 Our ski editors were granted a behind closed gates preview of this private mountain resort and found that private skiing is even better than it sounds. CrossHarbor Capital and Discovery Land are the owners of the private ski club next door to Big Sky Resort, Spanish Peaks and Moonlight Basin – and Yellowstone is again thriving. Families enjoy private ski instruction, kids ski camps and an awesome 20 Below Game room. 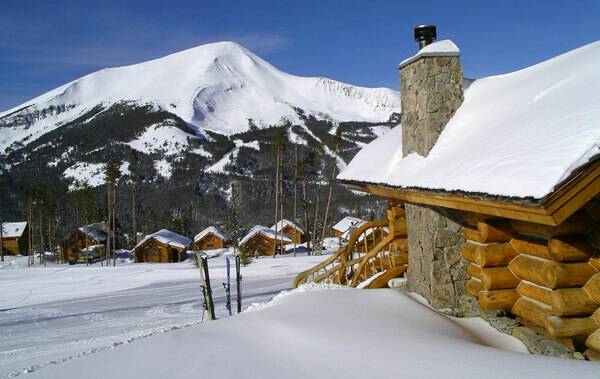 Skiing at Yellowstone Club is on 2,200 acres of untracked perfectly groomed trails on Pioneer Mountain, served by swift high speed chairlifts. Development on the Club’s slopes includes a new gondola, and a proposed lift up Big Sky’s Lone Peak… stay tuned on that! 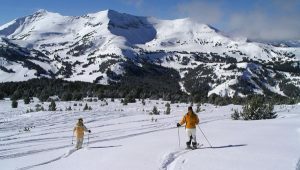 Cat skiing on additional terrain is shared among the limited membership, which will reach 750 families at fulfillment. Yellowstone Club’s expansive views of Montana’s mountains, Lone Peak and Yellowstone National Park, plus elegant lodges for lunch or candlelight après ski complete the perfect setting. Yellowstone Club is where the wealthy go for their private powder, posh 10,000 square foot mountain homes, and secret service security detail and discretion. Members with mansions include Justin Timberlake, Tom Brady, Ashton Kutcher, Bill Gates, Dan Quayle, Greg LeMonde and Mark Zuckerberg. The vibe is surprisingly relaxed in the ski lodges and the slopes, which are served by high speed pulse lifts. Kids make friends at the activities programs and adults enjoy après ski by the fire – just like any other ski resort- only this one is far more swank. New England’s private ski club, with a similar concept in Vermont is called The Hermitage Club at Haystack Mountain, though that club is undergoing bankruptcy (much like Yellowstone did… interesting pattern?! ).